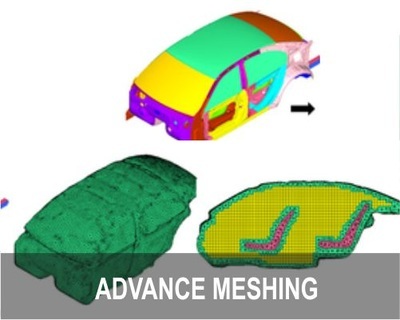 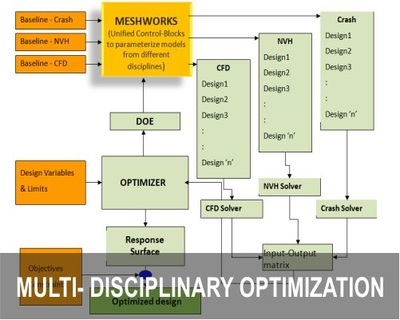 DEP MeshWorks has automated remeshing and re-assembly tools that will produce good quality meshes from morphed models, complete with new connectors in the morphed/remeshed zones. 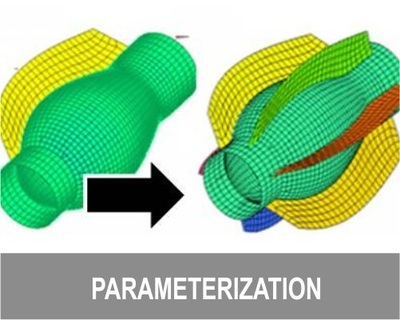 Automatic remeshing can be applied on shell meshes and solid terra meshes with preservation of features, connections, loads, boundary conditions, shape parameters and element size control. 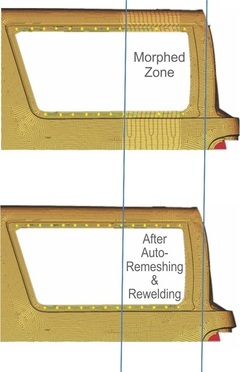 Assembly connectors such as spot welds, seam welds, adhesives, bolts, etc. 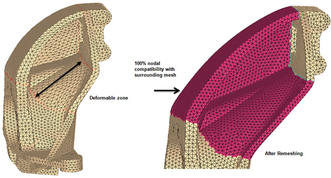 will be intelligently regenerated as per design requirements. 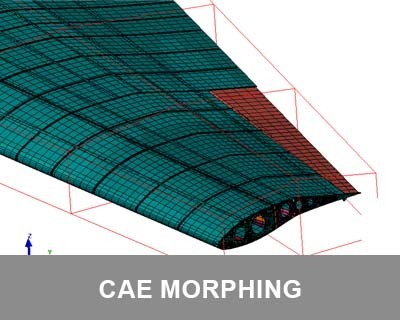 For example, if an original spot-welded FE model is morphed to reduce its length, accordingly the morph-compressed region will be remeshed to the original element size and the spot-welds in the morphed region will be regenerated with the original pitch. 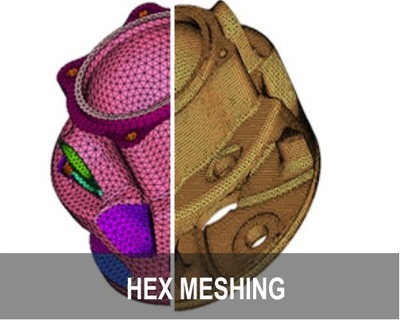 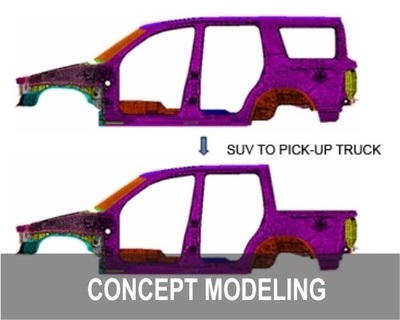 Using the powerful remeshing tools in MeshWorks, the morphed mesh can be re-meshed as per user element quality requirements. 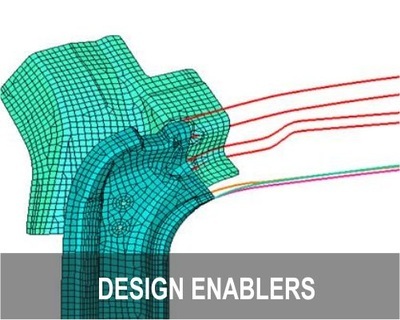 When full system models with many connector elements (such as welds) are remeshed, MeshWorks will ensure automatic re-connection between all the parts.